These are the best classic Italian meatballs around! They are full of Italian flavors and make a hearty dinner! Hi everyone! Amanda here from Old House to New Home. 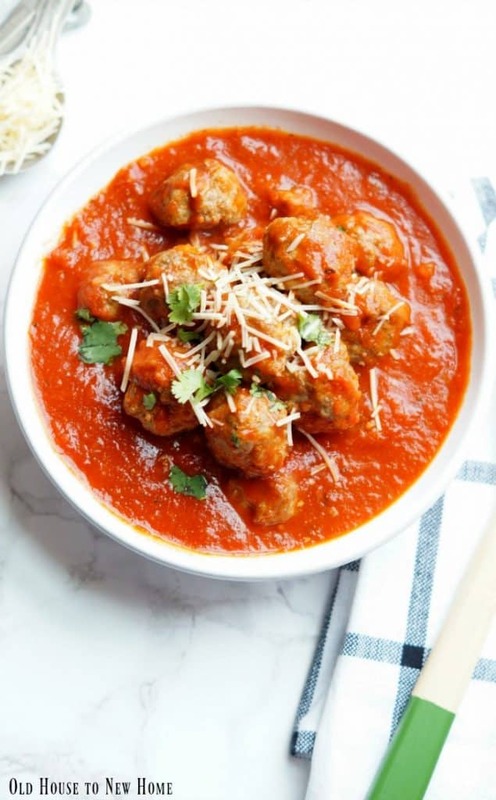 I am excited to be here today sharing my recipe for the best classic Italian meatballs! 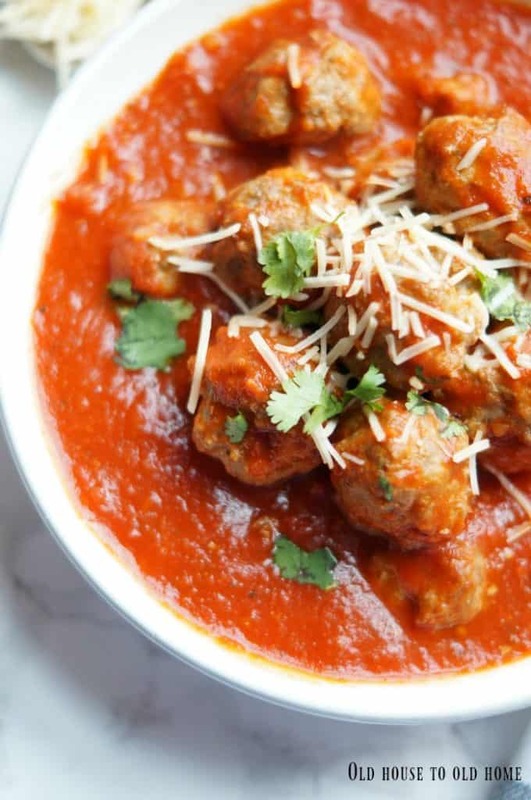 A traditional beef meatball recipe that has been my no-fail meatball recipe for years! I have had so many people ask me for this recipe over the years and once you try them, I hope they become your go to recipe, as well! There are just some basic recipes that makes life so much easier when you have them in your arsenal. You need at least one killer soup recipe (nothing beats my Cheesy Chicken Enchilada Soup! 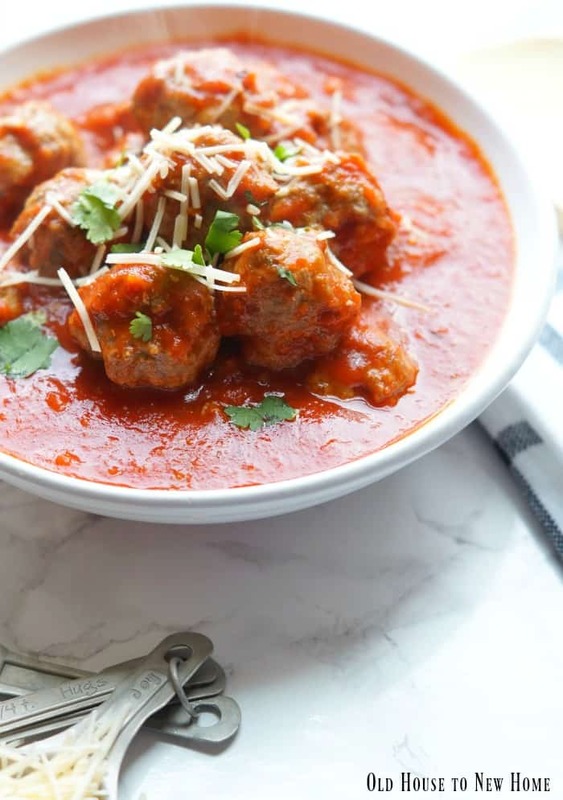 ), a basic meat marinade, a go-to pasta sauce (try this easy weeknight Marinara), and of course, a classic Italian meatball recipe like this one for the best classic Italian meatballs! While those frozen meatballs from the store are convenient, they just don’t taste great or have the best texture, and they are expensive! I wanted to buy a big bag one day to save time before a party, and I couldn’t believe the cost! $15 dollars? No way…give me a pound of ground beef and I can make something much more delicious for so much less! Pasta night is always a hit in our house, both with my four year old, and the adults! I love how versatile pasta can be and how easy it is to throw together. Growing up, we had pasta all the time and it was always my favorite dinner of the week. While I love the classic taste of spaghetti and meatballs, we have been loving shredded brussel sprouts with bacon and rigatoni lately, too! 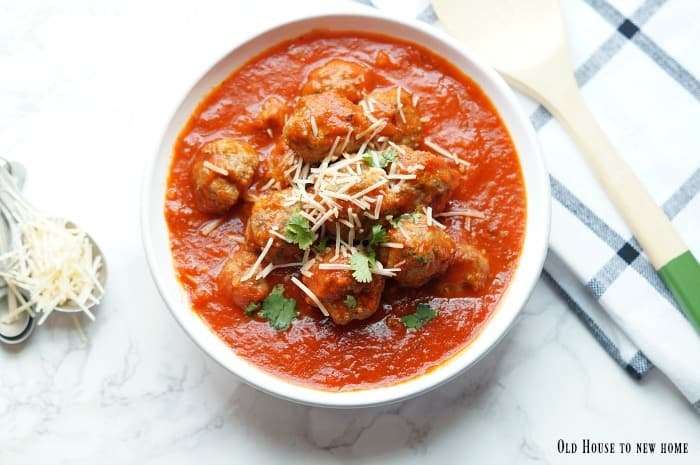 There is just so much you can do with a bowl of spaghetti, and topping it with the best classic Italian meatballs is definitely one of the most delicious methods! 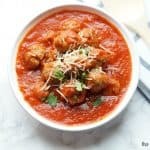 This is my favorite recipe for the best classic Italian meatballs around! It's got all the traditional Italian flavors and makes a hearty dinner! Using a cookie scoop or a tablespoon, scoop heaping tablespoons of the meat mixture and roll into balls. Place on the prepared baking sheet and bake for 15 minutes. Remove from oven and add to your sauce. Let simmer on low for at least 1 hour or until it is time to serve.